The Question is Simple. How do we give more people a better later life? The answer. By giving them better ways to get better…and stay better. Art is providing an accessible outlet through which seniors can reconnect with their vitality, their self-expression, and their joys. Aging Artfully provides revitalizing experiences which when coupled with quality medical care, can lead to remarkable outcomes. 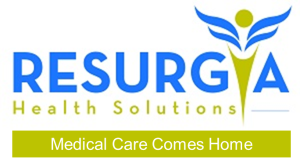 Let Resurgia House Calls in Atlanta be your health care partner as you explore the art of aging artfully. Doctors at Your Service.